I realize it has been a few days since you last heard from me. That has probably been a relief for many of you, as most of my updates have been short stories that take a while to read. But since I’m at the airport waiting for Coach Norman’s delayed plane, I have the time to report what has happened these past 3 days. I will try to reduce the words so this is not too lengthy, but to be honest the depth of my emotion cannot be contained in written words, and the words never seem to express the enormous movement of my heart! Thirteen years coming has not dampened my passion for this country and region nor has it dampened the love I have for the people! Thank you God, for this mission and the ministry of HiS PRINT and the continual opportunity to use our steps to leave your PRINT! My long weekend of travel around Croatia was an absolute blessing. 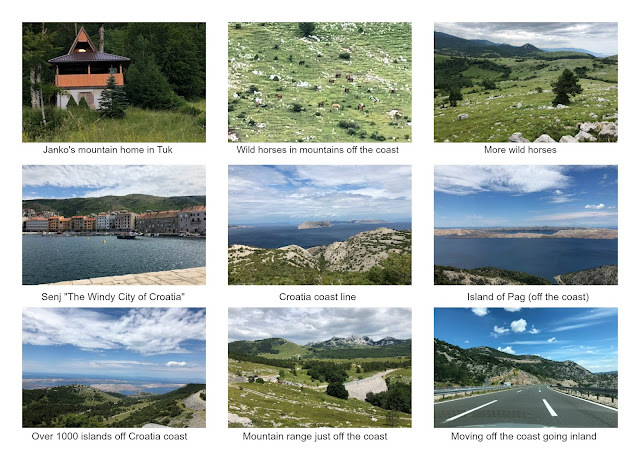 In celebration of my birthday, Janko gave me a personal tour of many beautiful and incredibly different Croatian landscapes. Our tour took us from a mountain range to the coast and then back through another mountain range before arriving back at HiS HOUSE late Monday night. I can tell you this: I saw every imaginable landscape, even one that resembled the moon! On the Road Again-The Lewis and Clark Expedition, Ventures into the Mountains! Janko (Lewis) tells me (Clark) we are heading out for another adventure on Friday and on Saturday morning we were on the road! Believe it or not our first stop was in Roswell New Mexico. Yep, you guessed it. How? I got pictures to prove it! Roswell, New Mexico, Croatian style! 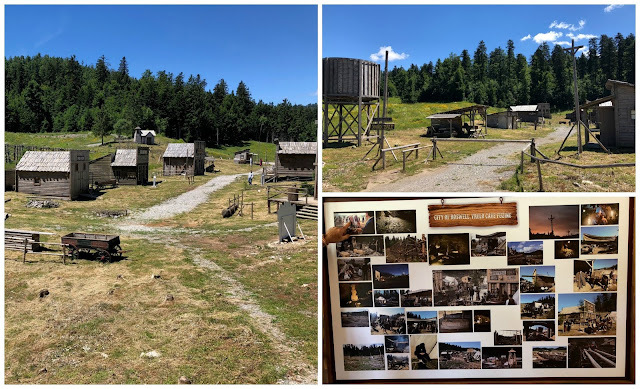 It was funny to see a western set here in Croatia but then again Clint Eastwood went to Italy for the spaghetti westerns. Any of you heard of Winnetou? Played in the early 60’s and their set for the western town scenes was there! Great birthday gift from Janko! I really enjoyed it. Next we shifted a few centuries and went to a castle and church built in the 1600’s. It set up on top of a mountain over looking a beautiful valley! Then we hit a few overlooks that displayed the beauty of Croatia! It was amazing and I think you can see why people love coming here and we haven’t even made it to the coast and the Adriatic Sea. I’m going to try to convey all that has happened on this day, Friday, June 22. Thank you for your prayers concerning the condition of The Nest after the city added & spread the dirt. 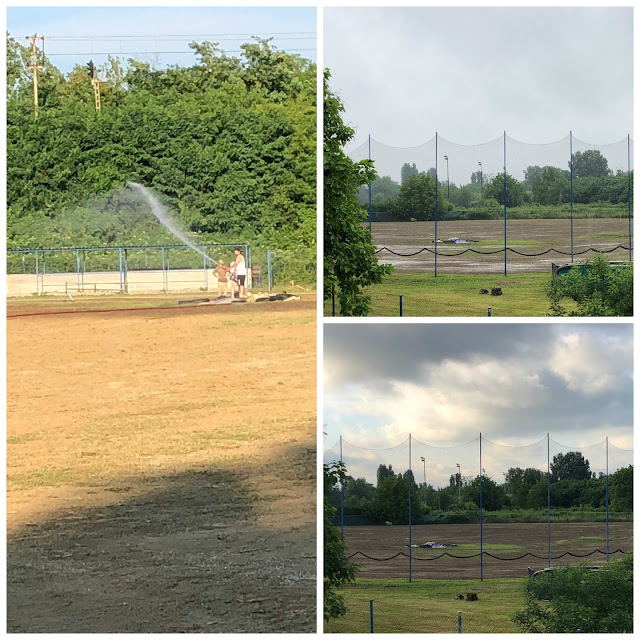 It was a great blessing to receive the dirt, but (as I mentioned in an earlier blog), it just may be too late for us to host the European qualifier tournament on July 16. These past two days have been a flurry of activity and much of it seems to be a blur now that I try and go back and think through all that happened. To top it all off, Croatia upset Argentina in the World Cup and the people of Croatia are in the streets celebrating. With tomorrow being a Croatian National Holiday, they may be out there all night! I will try and hit the highlights so I can keep this to a short story as well as hit the needs for prayer! You guys back home are such a blessing and help keep me upright and moving forward no matter the circumstances. Reminds me of the scripture, "This is the day the Lord has made, let us rejoice and be glad in it;" realizing that every day is a day the Lord has made and I will rejoice and be glad in it no matter what happens during that day! 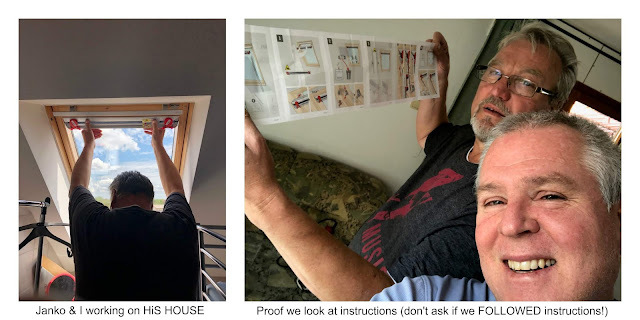 HiS PRINT Update -A Promise and Guarantee, Are they the Same Thing? HiS PRINT Update - Summer MLO right around the corner! I am going to be heading to Split for a short trip to discuss some possibilities on having the land available to start an academy in the future! This is a great possibility and one that has been discussed over the past 2 months with several people in Split. We have been discussing via Skype and I now have the chance to go see first hand. I will keep you posted after my trip (leaving Tuesday night and back on Thursday.) 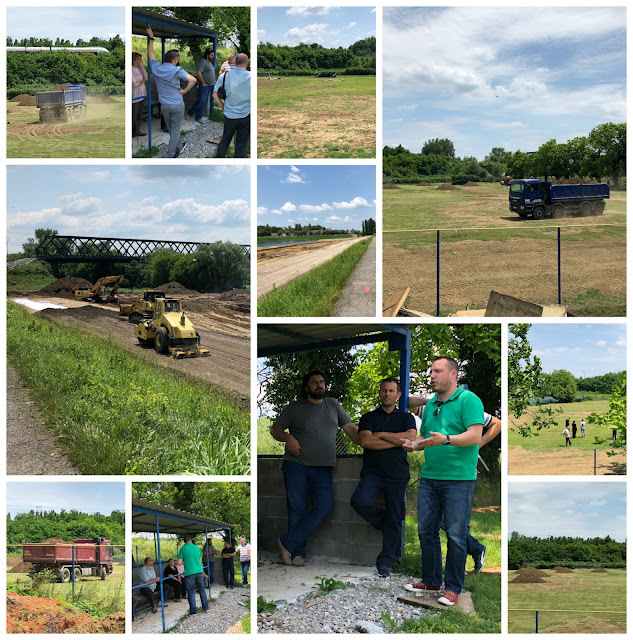 It will be a quick trip to meet with some officials as well as Croatian and American businessmen who are interested in the project and possibilities. I am excited and blessed to see how God is working all of this out and seeing His wonderful hand at work! Spent all day with Elvis taking me around to get most of the errands done and things I needed to buy and get done before the rest of the team comes later in June. We had a blast spending the time together and catching up on life. Elvis is one of the original Storks that I would love to see coaching one of the teams in the future here in Sisak. 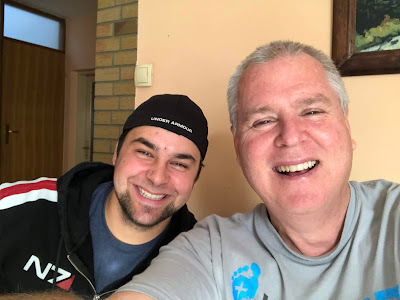 He has been out of the country for several years finding work in Ireland and on cruise ships, but is ready to settle down in Sisak so we would ask that you pray along side us on that! 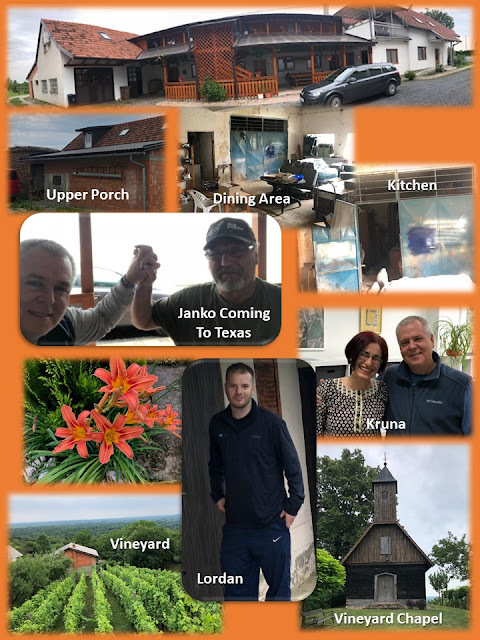 Making it safely back to my second home here in Croatia yesterday I was excited to get settled in after the long flight and day of traveling. The meeting I was suppose to attend Thursday night was cancelled and moved to another night next week, so the little “i” reminder of being flexible was already coming into play. But that was just the first of several other reminders (that we are not in control and God is) that occurred since I’ve been here. That being said I think I will break this blog up into two sections and send on separate days so that you can see the pictures and join me in prayer for the blessings as well as join me in prayer for those things that are in need of God’s divine intervention to accomplish. 2018 Summer MLO Is On! Well we are packed and ready to go for this summer‘s mission learning opportunity, MLO! 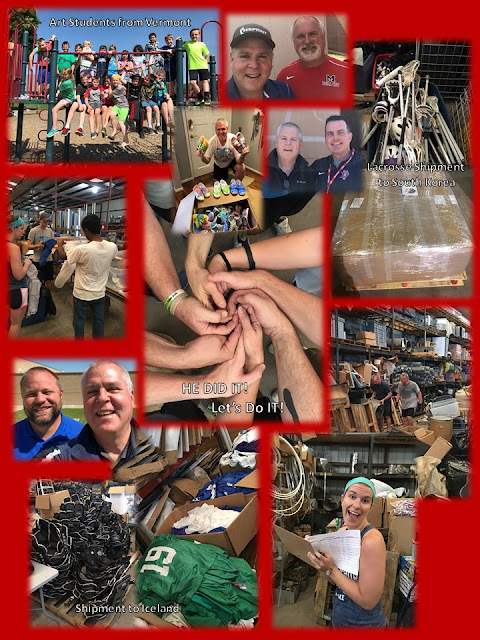 After spending the last four days packing extra bags for our team members to bring with us, we are ready to go! I am actually currently in the Toronto Canada airport, typing this as I wait for my connecting flight to Zagreb Croatia. This is a new flight pattern that is just now being offered since the airport in Croatia was expanded last year! I am excited knowing that once I land on the other side of the pond I will be in Zagreb. After a full 24 hours of flight and layovers I will be looking forward to some down time at HiS HOUSE. However, that won’t last long as I have meetings starting tomorrow night after I land and continuing through the weekend. God has really opened up some huge opportunities for us to walk alongside others who are in need of help and we are willing to walk through those openings to see what God's desire is! 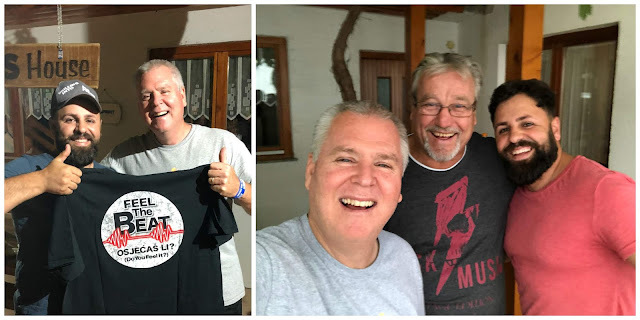 Wanted to reach out and share with you some really neat things that are going on overseas in Croatia. We are excited to see how God is working through all of this and making the opportunities for us to share His love and watch Him work out details we couldn’t even get close to making happen. 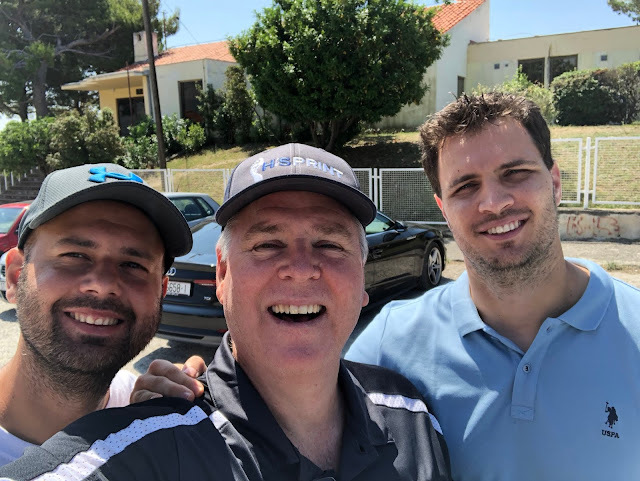 I wanted to share with you a very neat experience that I had recently when the Lord opened the door for me to interview former Major League All Star and Houston Astro, Lance Berkman. HiS PRINT was so blessed with the opportunity to interview former Major League Baseball great, Lance Berkman. 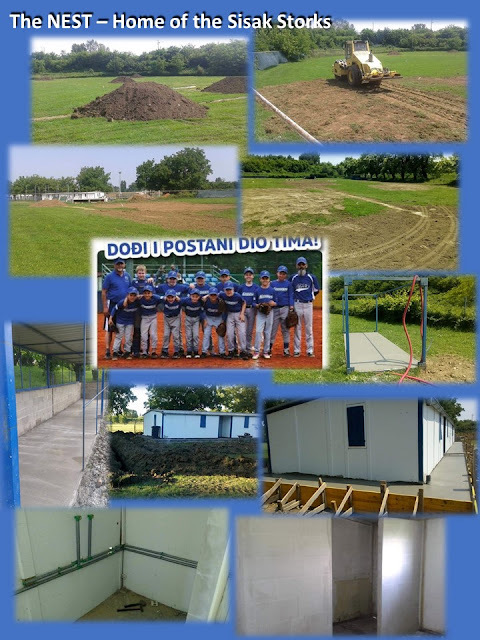 He took the time to share his testimony and love for Jesus and spoke directly to the young baseball players in Sisak, Croatia. He spoke specifically about The NEST, the home field of the Storks Baseball Club. Listen to his analogy of how Jesus takes a heart of weeds and through His love and grace makes it into a productive of heart of love. Every time those players walk onto that field, they should remember what Jesus can do with their hearts. The same way they took a Field of Weeds and made it a Field of Dreams, "Jesus can take a weedy heart and make it heart of faith!" Those are Lance's own words. Thank you, Lance, for taking the time out to share you faith!